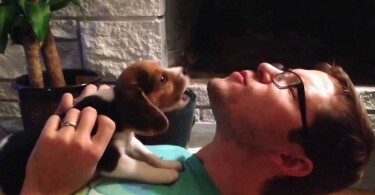 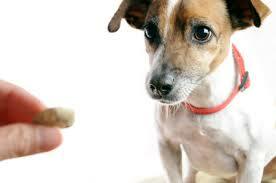 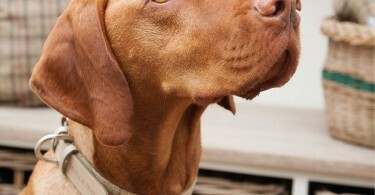 Dachshunds are playful, but as hunting dogs can be quite stubborn! 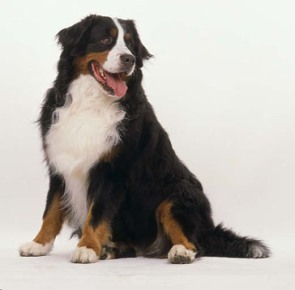 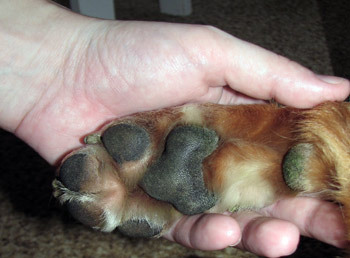 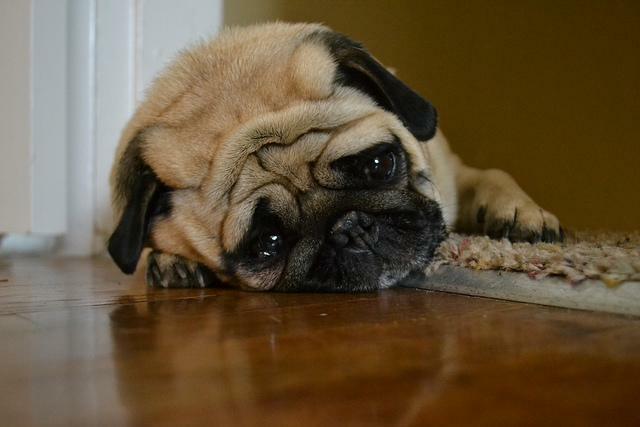 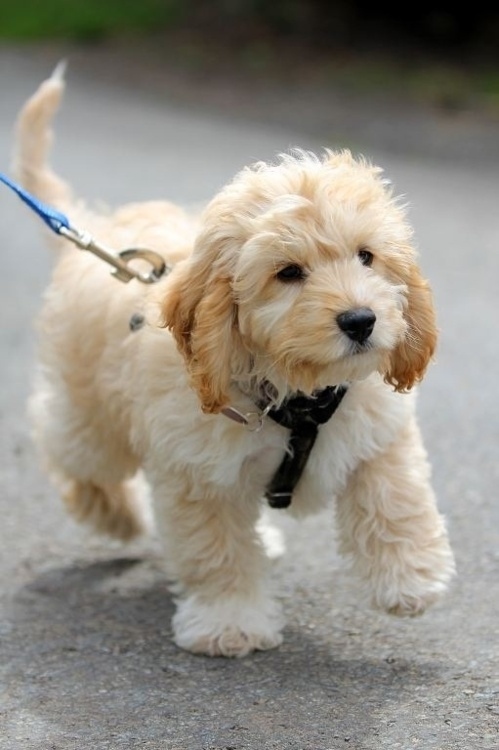 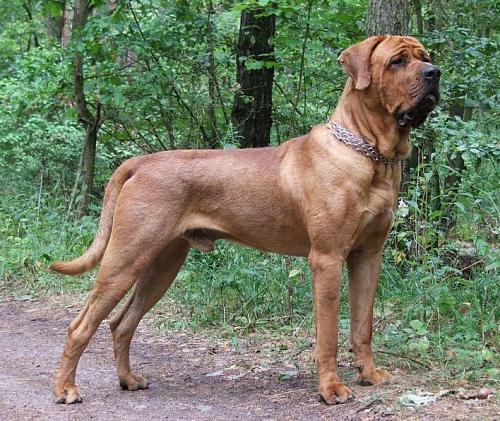 With their short stubby legs and long back they have a unique shape that normal dog coats simply don’t cater for. 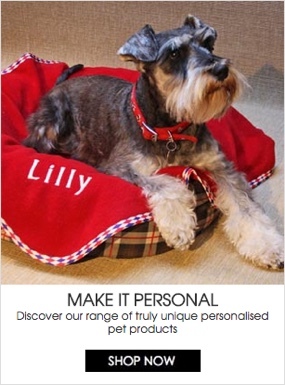 We have a range of dachshund coats designed specifically for the breed. 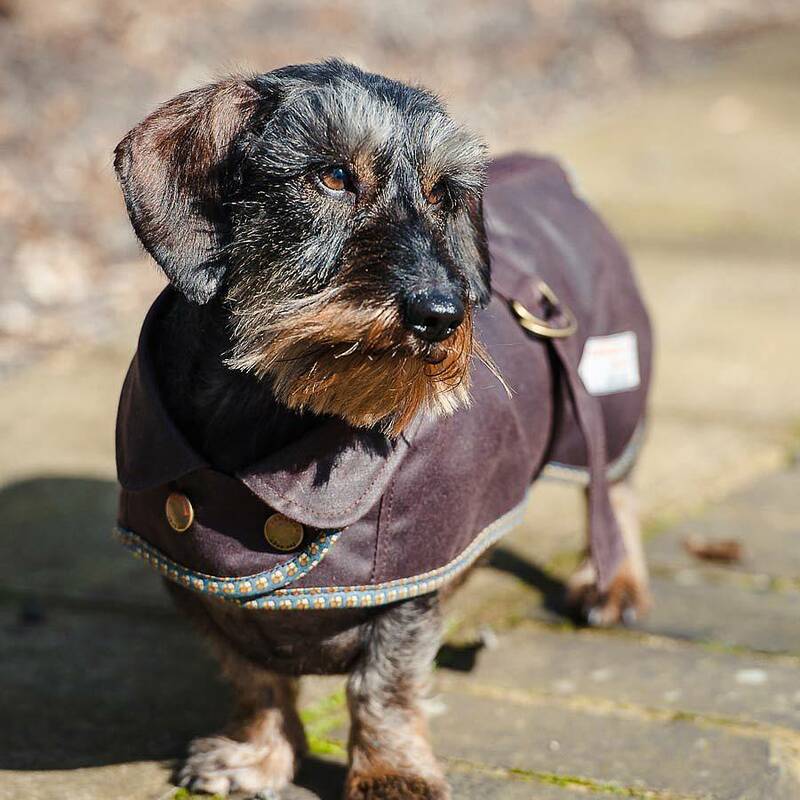 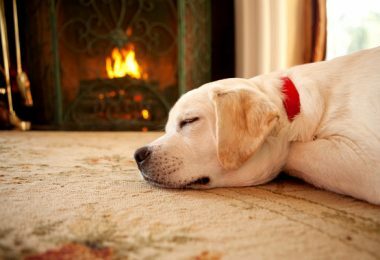 From lightweight dachshund coats to full tweed winter dachshund coats, we have a fabulous selection of coats for dachshunds that is sure to please. 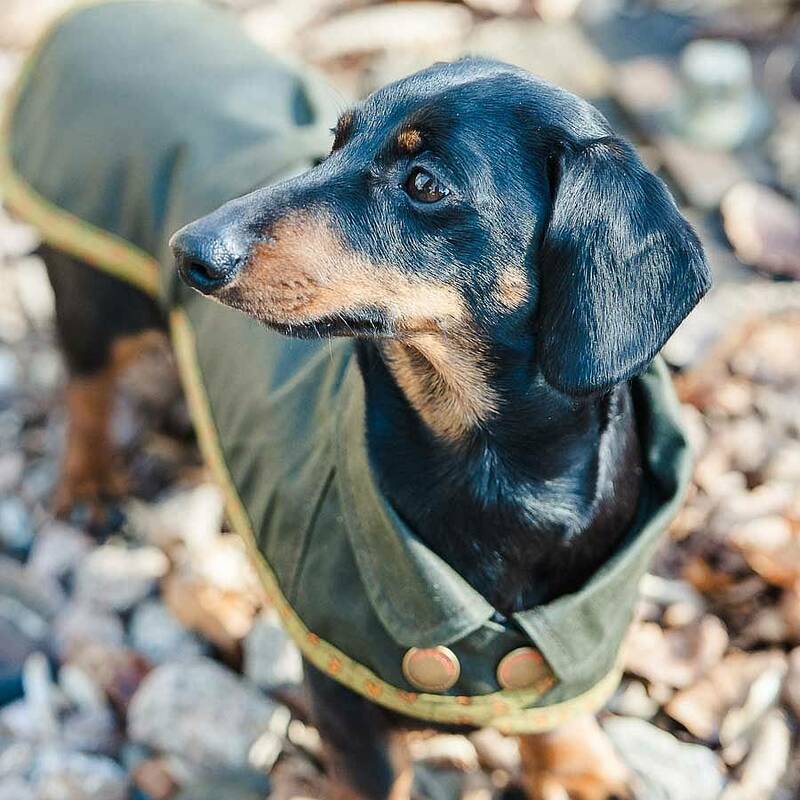 Dachshunds can feel the cold, especially the short-haired variety so it is always advisable to have a coat for your dachshund at hand. 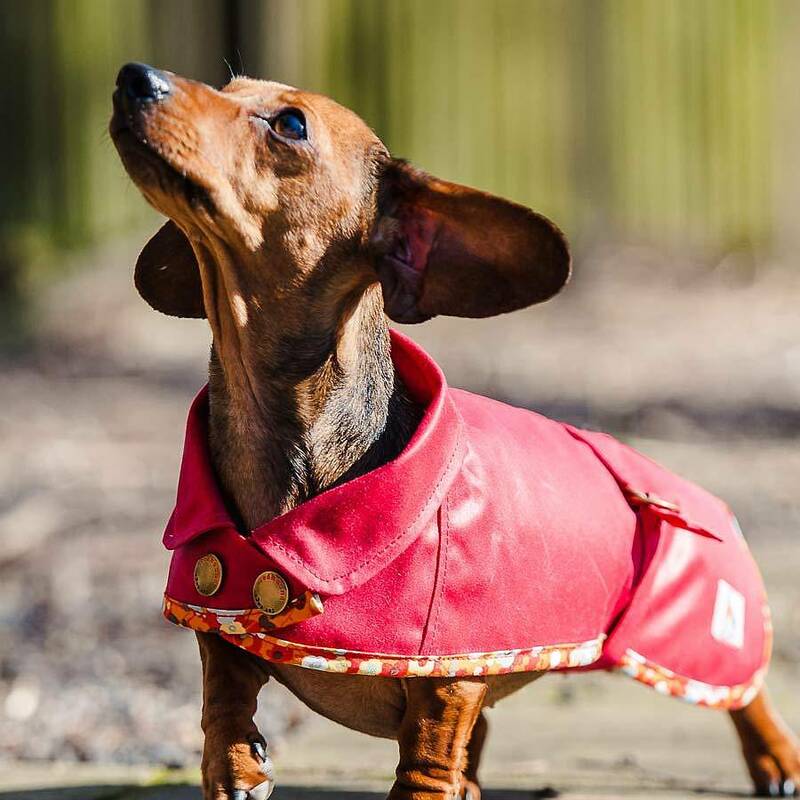 If the weather is warm but wet, our lightweight dachshund coats are perfect. 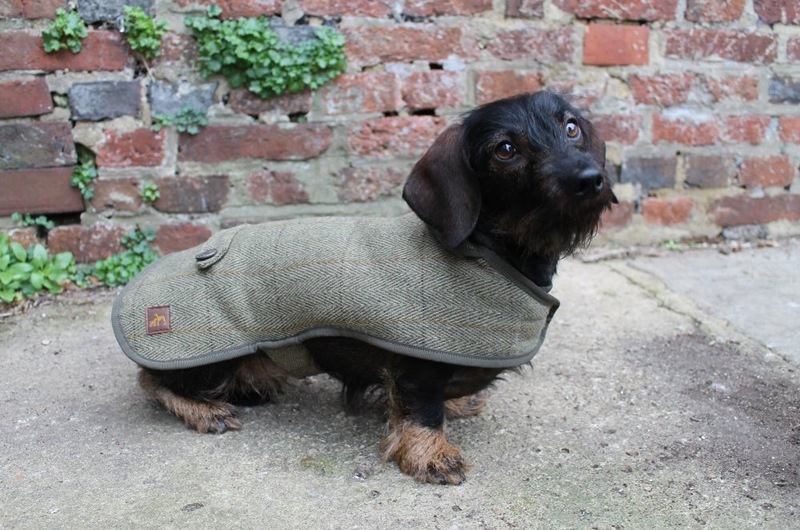 Our dachshund coats are cut with a straight back as opposed to a curved back for other breeds. 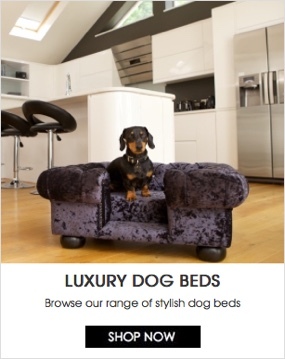 Available in brown, red and green each with contrasting trim and a popper front as dachshunds tend to hate having anything put over their heads! 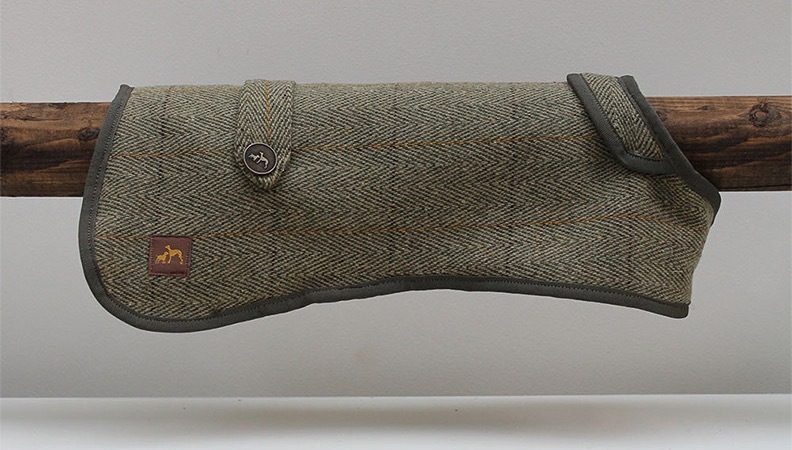 Next we have our best-selling coat for dacshunds, these tweed dachshund coats are simply stunning. 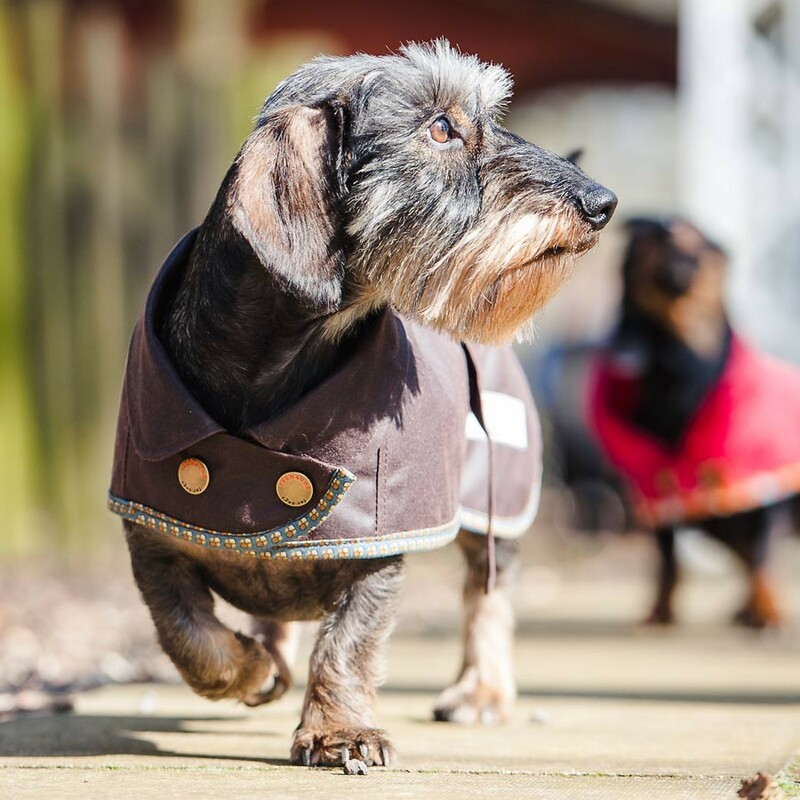 Lined in soft sherpa fleece and waterproof, these coats will keep your dachshund warm and dry. 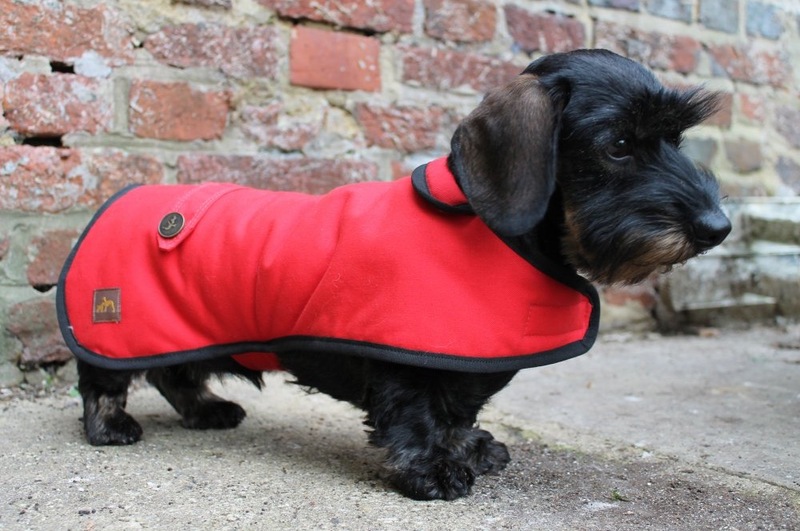 These stunning coats are also available in black and red waxed cotton both with the sherpa fleece lining for warmth. 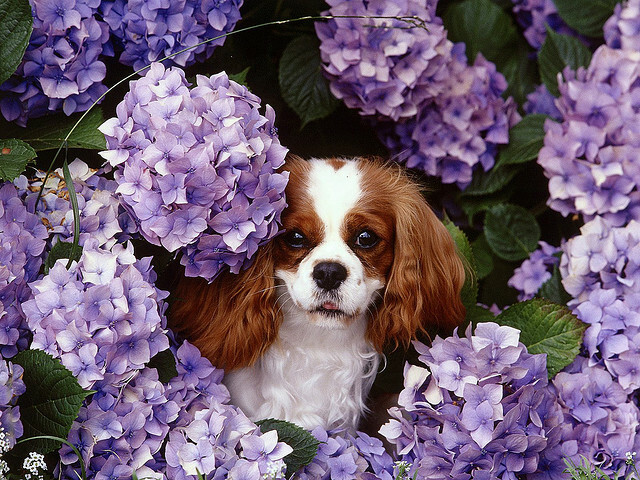 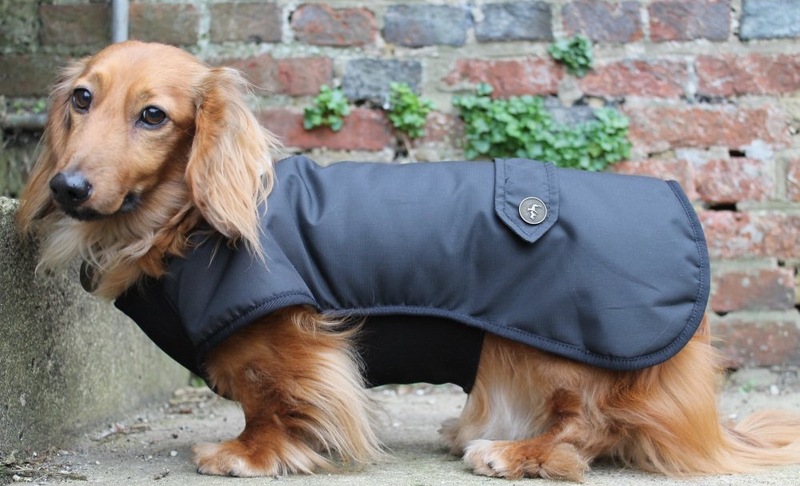 To browse all our coats for dachshunds click here.